Spend a week in the Wicklow hills improving your cross-country skills and enjoy the breath taking scenery. You will ride 3 hours each day, which includes a variety of cross-country instruction and jumping, flat-work, show jumping and group ride-outs. The emphasis is on cross-country jumping and riding across the land and up the forestry. If you want to have fun cross-country on horses who really know their job or wish to improve your skills, this is a great riding holiday week for you. 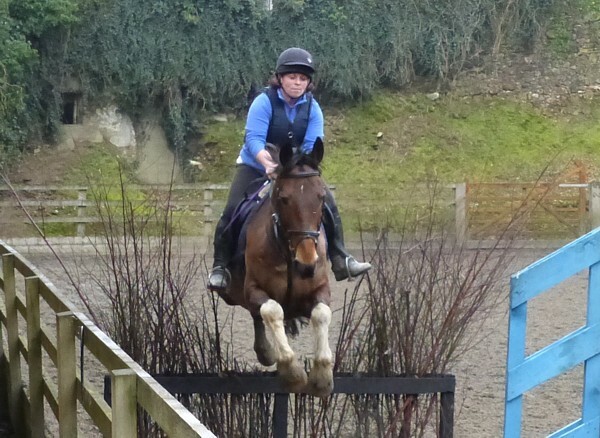 Previous experience of cross-country jumping is not necessary.